The sectors labels are configured using ChartDirector Mark Up Language (CDML), so they can contain icons. 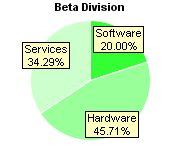 This is just 3 simple pie charts. Even simple designs can look impressive when drawn with SimplexNumerica. 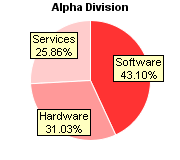 A pie chart with all sectors exploded. The background, sectors and label box are all gradient colored. The background comes with a soft drop shadow. The sectors include thick inner borders. 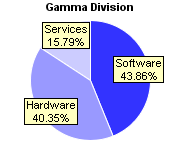 The sectors labels are configured using ChartDirector Mark Up Language (CDML). 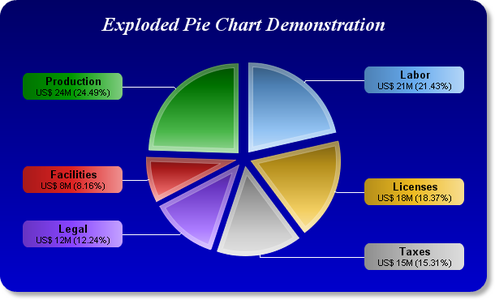 A pie chart with a legend box. The sectors are numbered to make it easy to correspond to the legend, and readable even if printed on black and white media. Both the background and the sectors are gradient colored. The background includes a soft drop shadow. 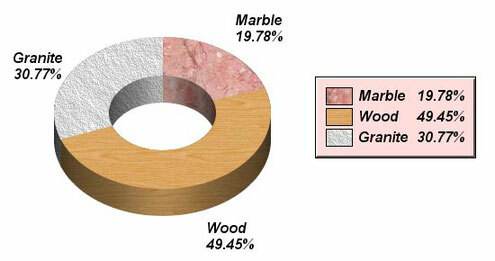 A 3D pie chart a silver background, a glass effect title bar and a rounded frame. 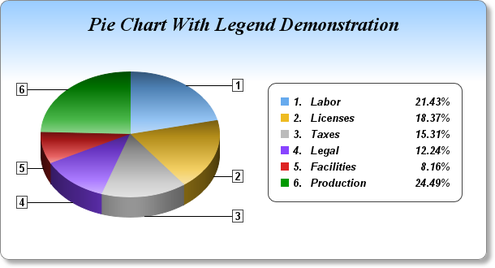 ChartDirector Mark Up Language (CDML) is used for the chart title, sector labels and custom text box (the logo). 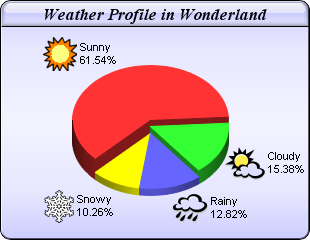 This allows the them to contain multiple fonts and colors and with icons. 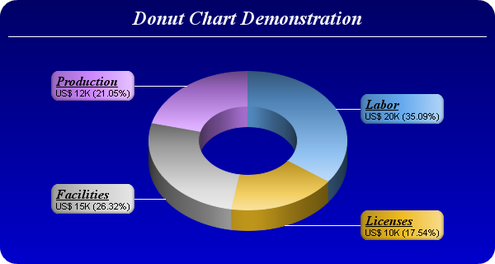 A donut chart with a legend box, using a brushed silver background. The donut is gradient colored to give it a 3D look. 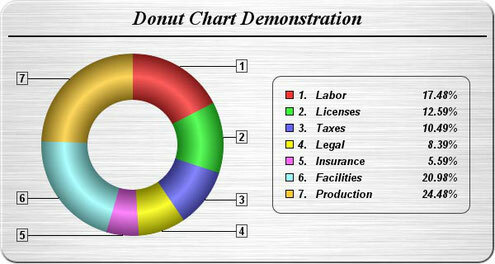 A 3D donut chart, with the background, sectors and label box all gradient colored. Note also the sector label formats. 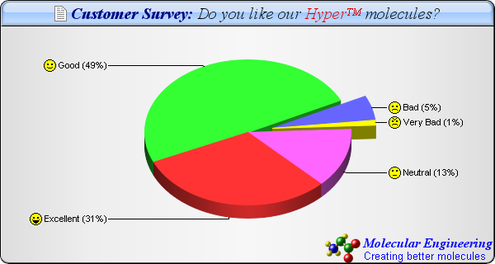 They are configured using SimplexNumerica Mark Up Language (CDML). 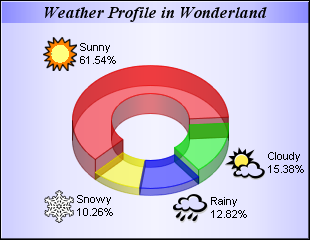 The texture effects are achieved by using ChartDirector's "pattern color" feature, which allows any object to use wallpaper patterns as colors.